When I am next in America I want to go and have a chicken sandwich at Chick-Fil-A. 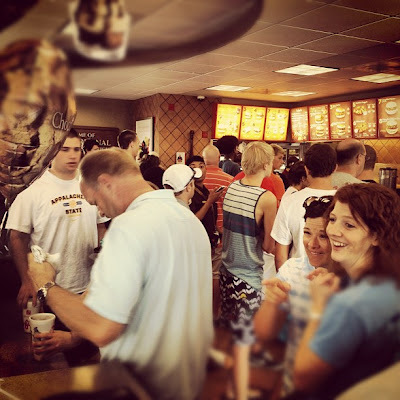 I had never heard of Chick-Fil-A until the storm recently broke out in America because the CEO, Truett Cathy dared to say ( in an interview with a Christian magazine) that he believes in the biblical definition of the family unit. It is also part of the company's ethos that they refuse to open on Sundays, run debt free, and contribute a percentage of their profits back to the community. [...] the left's reaction to the fast food joint has little to do with gay rights and everything to do with silencing dissent. This reaction along with the media's help is essentially the head on the pike that tells people "you're next" if you cross us.